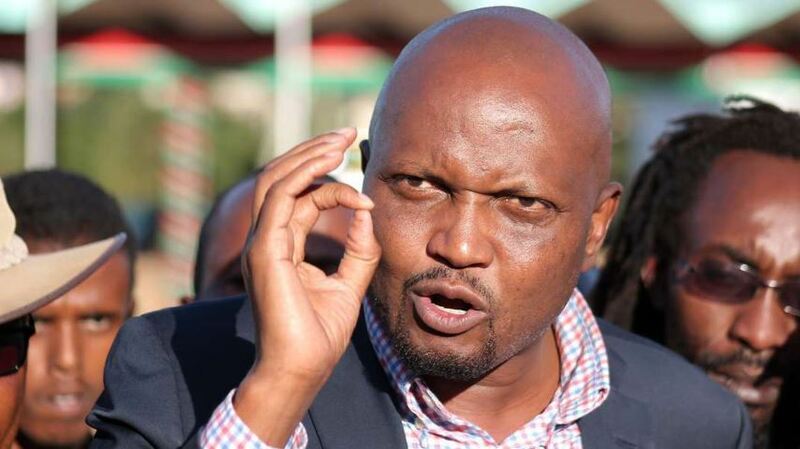 Moses Kuria will be in the Presidential ballot in 2022, the Gatundu South Member of Parliament (MP) has said. Speaking during an interview on Hot 96 breakfast show, the controversial legislator said he was confident he would win in a contest against perceived front-runner DP William Ruto. According to the firebrand politician, he is the third most famous person in the country. Kuria said in the event that he trounces the DP for the Jubilee Party presidential ticket, he would make Ruto his running mate. “Believe you me, I will be on the ballot box in 2022. There is nothing that prevents me from doing it,” Kuria told Jeff Koinange adding that “apart from Uhuru and Raila, I am currently the third most famous person in Kenya”. Kuria also said he would consider either ODM leader Raila Odinga or Kivutha Kibwana as possible running mates.